With this module you will be able to generate voucher codes for each members of your shop. Moreover - with this addon you can print personalized letters and send them by traditional post. Sending them in this way is definitely better than shipping by e-mail.Customers like to be appreciated, Increase your income! This awesome module is a great tool for increasing income in your shop. With this addon you will be able to generate voucher codes for your shop members. 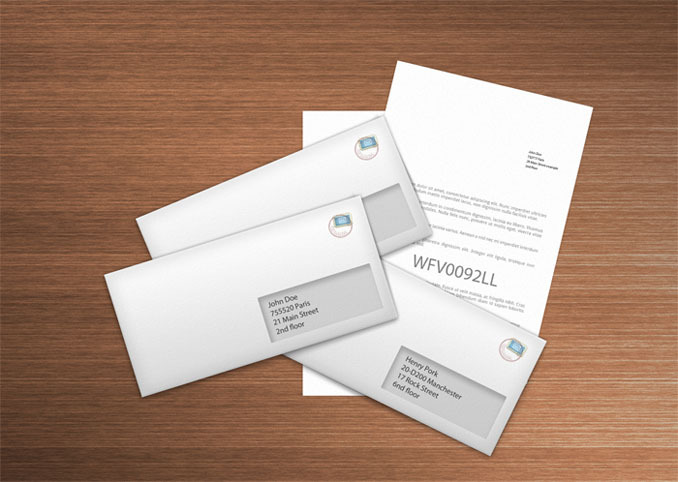 With this module you can print letters with attached voucher specification for each user. Module allows you to mass print large number of letters with labels! Just print them, Put in an envelope and send. Fast and reliable, simple and usefull. Main module feature is ability to automatic generate voucher codes for your shop members & printing letters with attach ed codes for your customers. Just click, print and send them to customers. With this feature you will be able to generate many voucher codes by one mouse click, you will be able also to print many letters. Save your time, select shop members and print for them as many letters as you want! As we said, you can create own letter template by using simple text or text with HTML tags. Insert pictures, headers, logos, any text data you want. In Letter template creator you can use variables with generated voucher specification & customer data for which letter will be generated.